Authors: Rondi DeBoer, Christine Tangvald, and illustrated by Ariel Pang. With the vibrant illustrations and engaging text in this Bible storybook, you can enjoy sharing the best-loved stories of the Bible with the children in your life and encourage a life-long love for the Word of God. My Favorite Bible is a book of exciting Bible stories and activity pages that guide children through the foundational truths of Scripture. The colorful illustrations will capture the imaginations of children ages 4–8, and the stories will help adults to pass along the most important truth in life—the Gospel. Families will cherish this time as they read, listen, learn, and love, growing closer to one another even as they grow closer to God. Contest ends on 12/7 @ 11:59pm Eastern. Winner will be chosen by Random. Org and will have 48hrs to respond to the email or a new winner will be chosen. 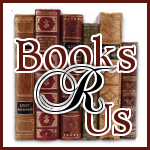 Like Books R Us on Facebook as Diana Z. 1 - Voted for you on Blog Nation and commented. 2- Voted for you on Blog Nation and commented.